Couple weekends ago, I packed my bags to head out on an adventure with some fellow bloggers to experience two tours in Southwest Ontario. If you’re a wine or beer lover then keep reading! Over two days we experience two different tours, Tour the Shore and Ride the Bine. Read more to learn about our experience with Tour the Shore! Tour the Shore is a new tour that the owner of Smackwater Jacks, Brad Oke created after realizing that there was a need to show tourists different areas that were not walkable. After testing out his idea and having HUGE success, he launched Tour the Shore in July 2017. 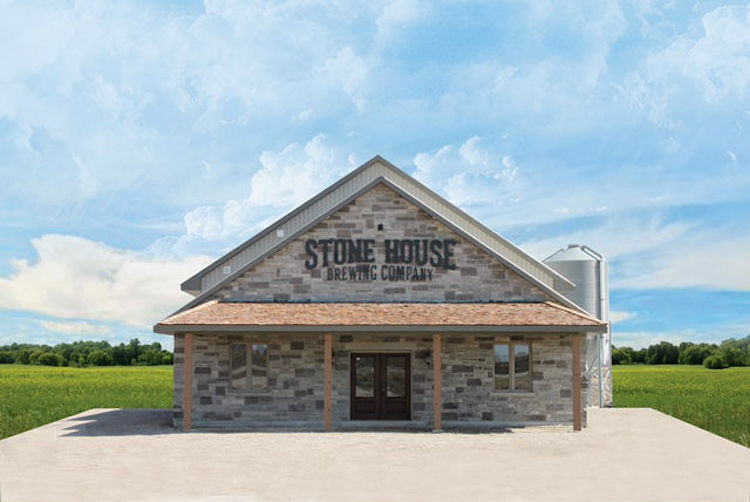 Tour the Shore attracts the idea of becoming a local for the day in the Lambton & Huron County areas, discovering local destinations and supporting local businesses. Included in your tour price is a full or half day tour, venue/tasting fees, pickup, dropoff, water, soda, snacks and dinner at Smackwater Jacks. I’m going to take you through my experience with Tour the Shore but also remember that custom tours are available! We started our tour by heading to Dark Horse Estate Winery to test a few wines and get a tour of the winery. 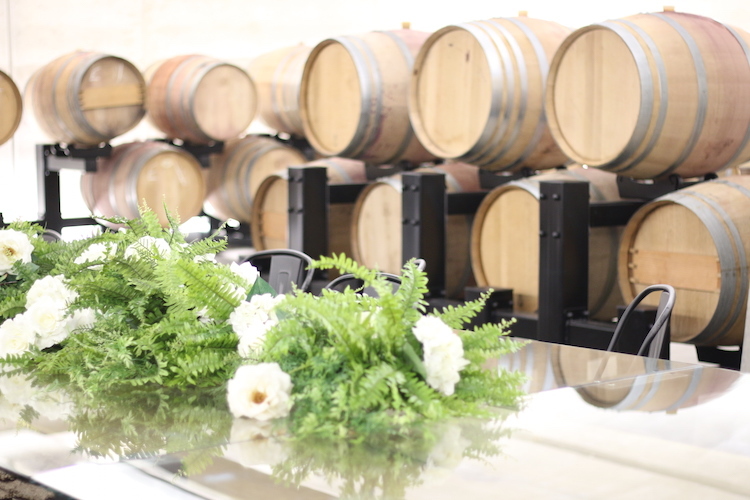 Dark Horse Estate Winery offers an expansive full-service banquet and conference space that can comfortably accommodate 300 guests, wine cellar, tasting rooms, an elite VIP space, and patios overlooking the vineyards. My favourite spot had to be the wine cellar. Pretty sure I need to find a reason to host a function there. The patio is also a beautiful area to sit and relax all year as they have a fireplace and blankets you can borrow to stay warm. Also, during the summer they do fire-oven pizzas! You know I’m going back for that! Next, on the stop was lunch! 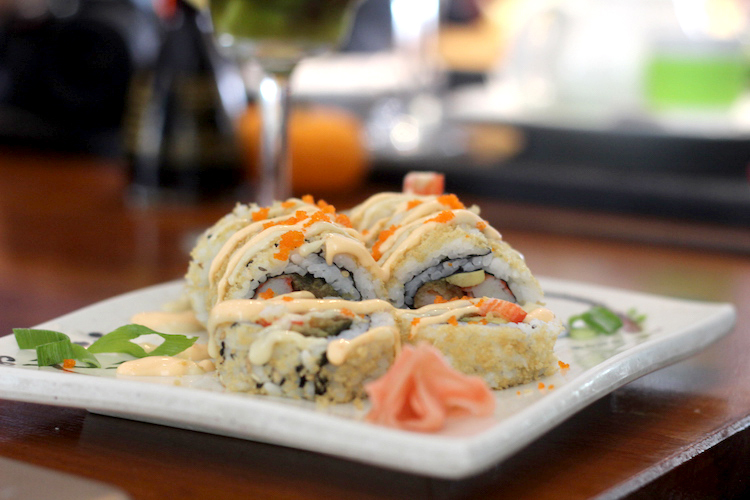 Midori Sushi is located right on the main street of Grand Bend. If you were following me on Instagram during the trip, you’ll know that this place was SO close to my old cottage. It brought back way too many memories. I’m pretty sure between all us bloggers, we ordered just about everything on the menu. 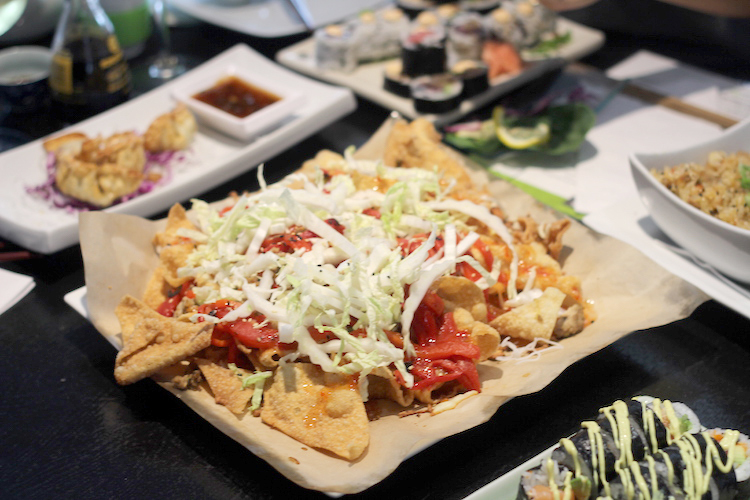 However, my favourite by far was the Wonton Nachos. Home of the craft beer, our next stop was Stonehouse Brewing! This small brewery is a must stop for not only a quick taste but to shop the store. 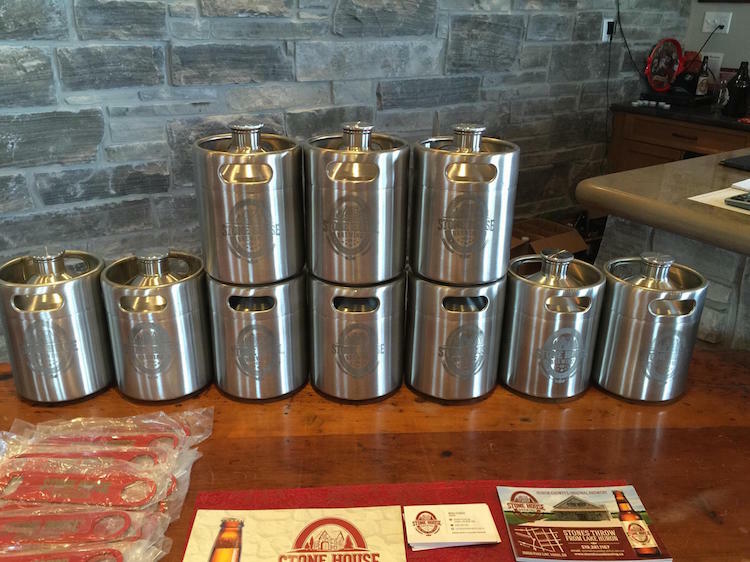 They offer these super cool mini kegs that you can bring back and fill up anytime. I personally think they would make the perfect Christmas gift. 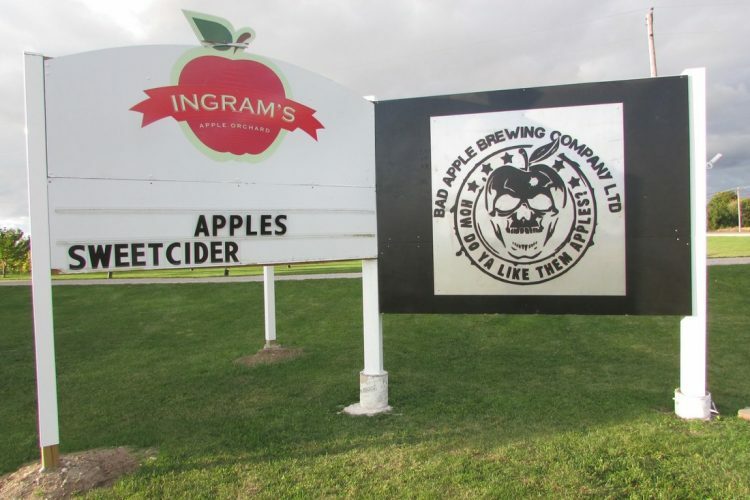 Bad Apple Brewing Company was next on our list! This brewery all started after the owner and his dad had too many apples on hand and decided to start experimenting with making hard ciders. I am glad they did too, the hard cider was so delicious and added the perfect twist to the normal craft beers and ciders I’ve had. You know it’s good when they sell out of bottles to purchase! 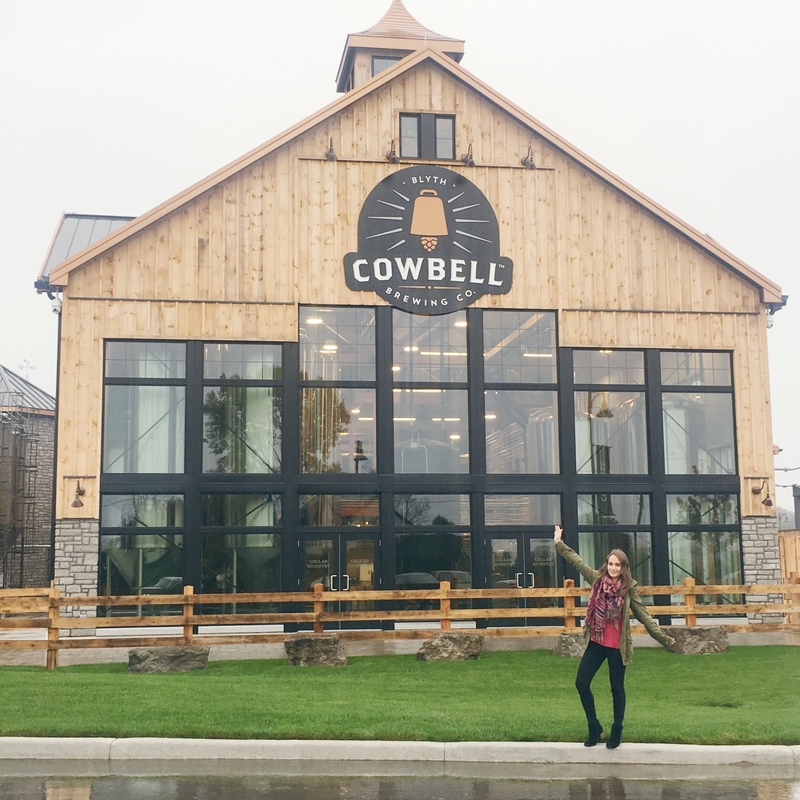 Cowbell Brewing was our last brewing stop for the day and boy did it leave an impression. With a full-service restaurant, space rentals and MANY more things in the near future, I’m 100% certain you’ll be hearing a lot of this brewery. Let’s just say they are in the works of building a unique outdoor natural amphitheatre for live music that will have space for 15,000 people! If that’s not enough they are also home to the world’s first closed-loop brewery. Read more about their commitment to the environment and community here. Included in your Tour the Shore package is dinner at Smackwater Jacks, which was our last stop of the day! After a full day of touring around it was so nice to sit down and eat some delicious food with the other bloggers. Smackwater Jacks is located right on the water giving you front row seats to one of the best sunsets in the world. They also have a wide selection of wine and craft beers so you can keep the tastings going! 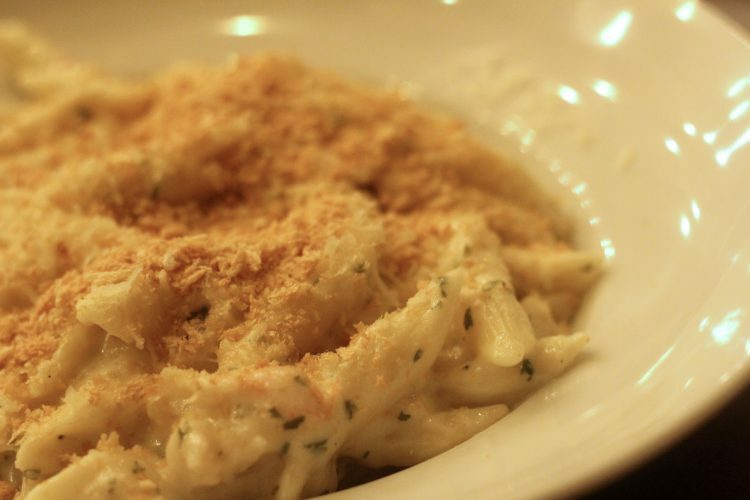 Must Try: The Lobster Mac n Cheese and Nachos! Contact Tour the Shore for a custom built tour or shuttle rental. Brad can help you build a tour that is perfect for your group. You won’t find a better tour guide – believe me! Read my other Southwest Tourism post for Oxford County here. Thanks to Southwest Tourism for sponsoring this post. All opinions are my own.